Are you tired of not being able to eat what you want? Do you dislike the taste and the feeling dentures leave? Are you sick of messy adhesives and sore gums? Do you have trouble speaking clearly and fear to smile? Implants may be the right solution for you. Dr. Paulo Viana and his associates offer implant supported dentures. Just visit us, and ask about the “mini-implant system” that can be placed and completed in the same day! Eat comfortably, have a pleasant conversation, laugh, and talk with confidence. 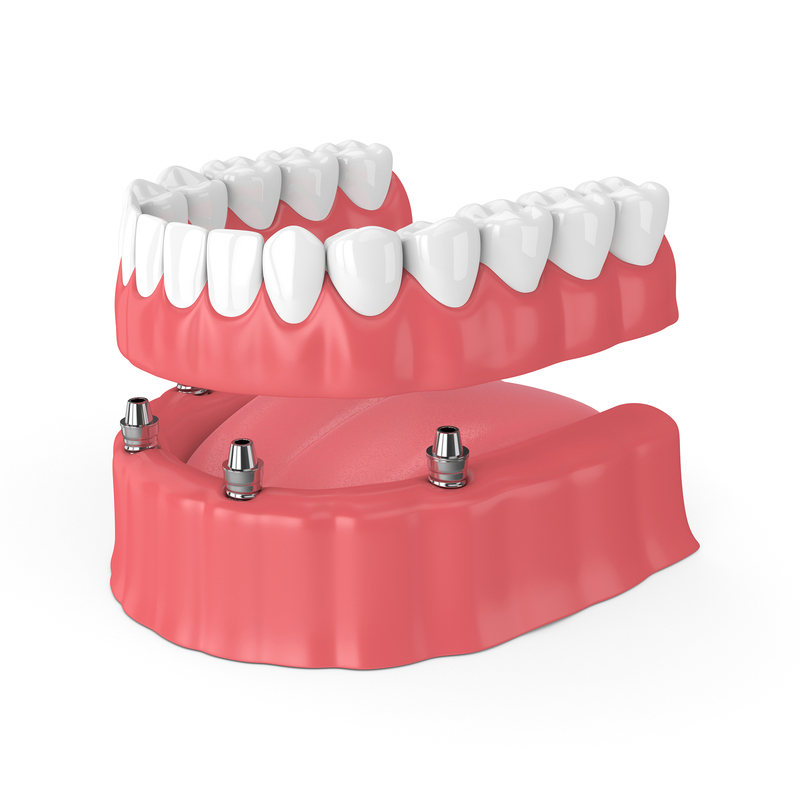 With implant supports, your dentures will feel secure and firm at an affordable price. Dr. Paulo Viana and his associates use the MDI System which consists of miniature titanium implants that provide a sturdy root for your tooth and a retaining fixture that is a part of the base of your dentures. The implant’s head is shaped like a ball and the retaining fixture is a socket with a rubber O-ring. The ball snaps into the O-ring when the denture is seated and holds it with a predetermined level of force. The denture sits gently on the gum tissue once seated. The implant fixtures provide micro-mobility while, at the same time, withstanding natural lifting forces. Please contact one of our offices (located in Komoka and London) today to schedule a consultation with Dr. Viana. Together we can discuss if implant supported dentures are right for you.